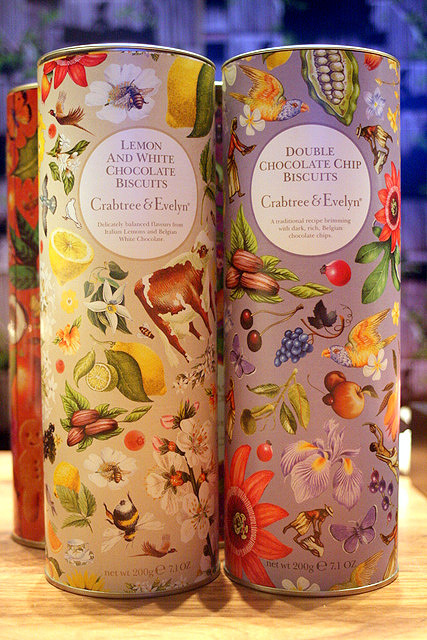 Crabtree & Evelyn has got some nice biscuits for Christmas. 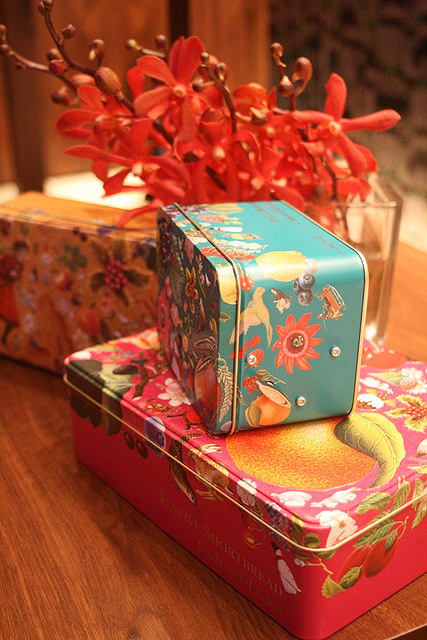 Classic English recipes with aromatic flavours, all encased in tins with fancy handrawn artwork. 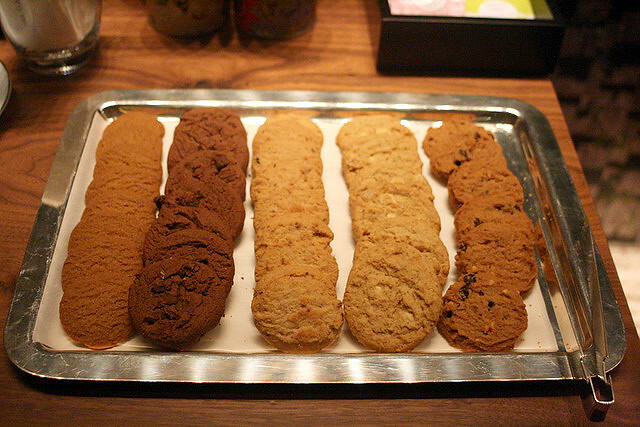 These are Festive Cranberry biscuits, Chrismas Pudding biscuits, and Festive Spiced Ginger biscuits. The little jar is chocolate limes - candy to go with cookies! We may not be able to have white Christmas here, but white chocolate's not a bad substitute. Lemon and White Chocolate Biscuits, Double Chocolate Chip Biscuits. This is what the real cookies inside look like. 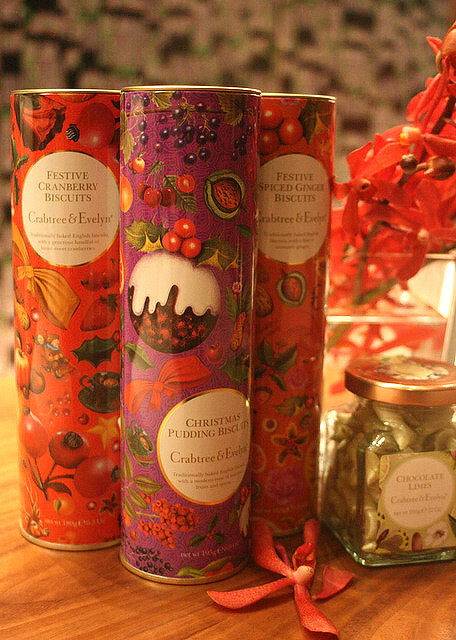 There's Festive Shortbread in colourful tins too. Very collectible. 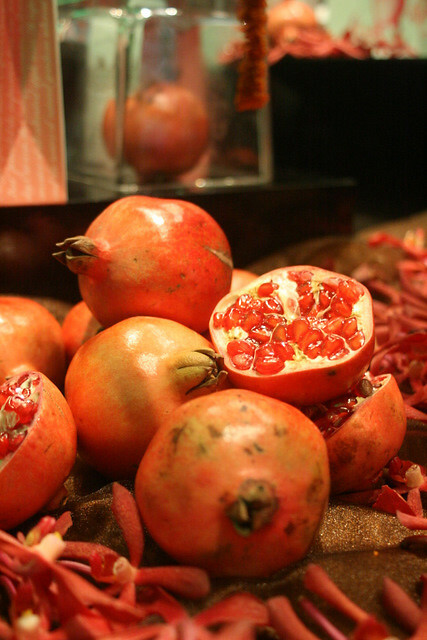 Crabtree & Evelyn has a new pomegranate body and hand care range, and home fragrance collection. The skincare is enriched with with argan and grapeseed oils, and are formulated without sodium lauryl sulphate, parabens, phthalates, propylene glycol and mineral oil. I'm sure you've seen it in the shops. 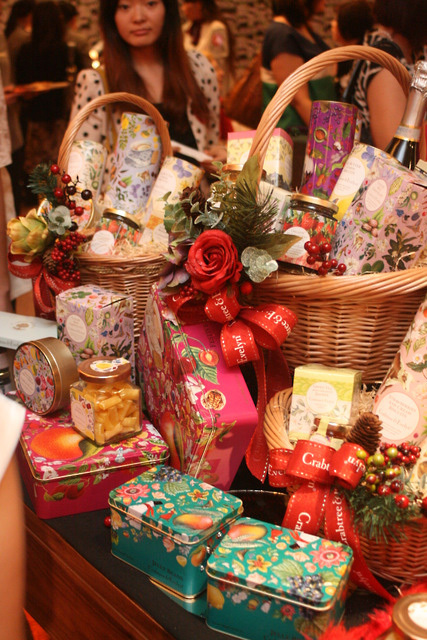 It's also the 25th anniversary of Noël, Crabtree & Evelyn’s signature festive fragrance. 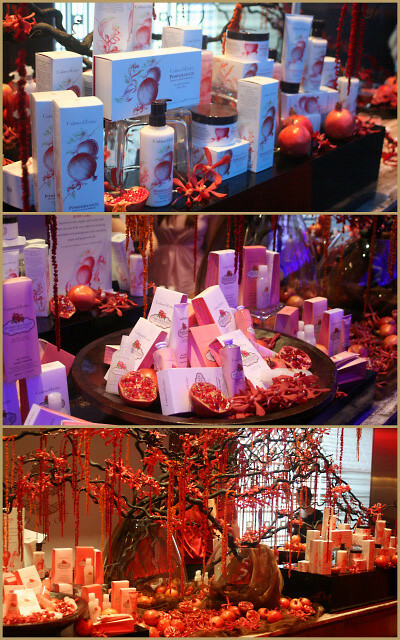 So you'll find an anniversary edition candle in addition to the 2011 limited edition Noël range. 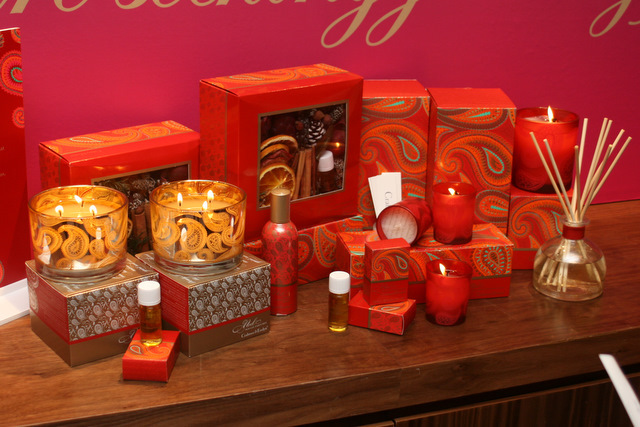 Two additional festive home fragrances, Smoky Amber and Golden Topaz feature exotic, spicy scents comprising unusual notes such as crystallised ginger, myrrh, frankincense and nutmeg. Have a festive holiday, everyone!